The mid-season Dunlop MSA British Touring Car Championship official tyre-test has been lauded by drivers and teams alike as an invaluable two days where data can be gathered and put to good use outside of the usual time constraints of a relentless race weekend. 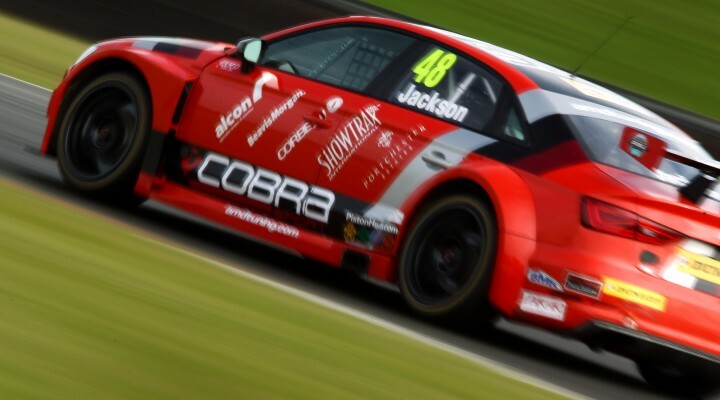 For Ollie Jackson, this would ring doubly true given the timing of his deal at AmD Tuning.com, which precluded him from any running outside of events up to June’s Snetterton test. “It was our first chance to get out in the car and put some miles in during a testing scenario this year,” said Jackson. “It gave us the chance to go through all the different permutations of spring rates, dampers, tyre pressures and other adjustments to get an absolutely full suite of tests done and it went really well. Because of a lack of running in the Audi S3, and despite it being capable machinery in Jackson’s own words, the 2016 campaign has been a somewhat difficult one thus far. A best of 14th at Thruxton and 15th last time out at Croft show potential, however, and something to build on for the second half of the season – starting with Snetterton, a circuit the former Lotus Ride and Handling Engineer knows well. “The season as a whole has been pretty disappointing so far if I’m honest but that’s purely a function of the fact that it was a late deal and we hadn’t had any testing up until the summer break and Snetterton. “The car’s a good car but we’ve been struggling to make it work in terms of setup and we’re only really finally making some good progress which showed itself up at Croft after a couple of big changes on Saturday night propelled us forward. It’s just because it’s so close at the moment, everything has to be exactly right.